We’ve all, at some point, tweeted out the wrong information during breaking news in a rush to be the first to post on Twitter. 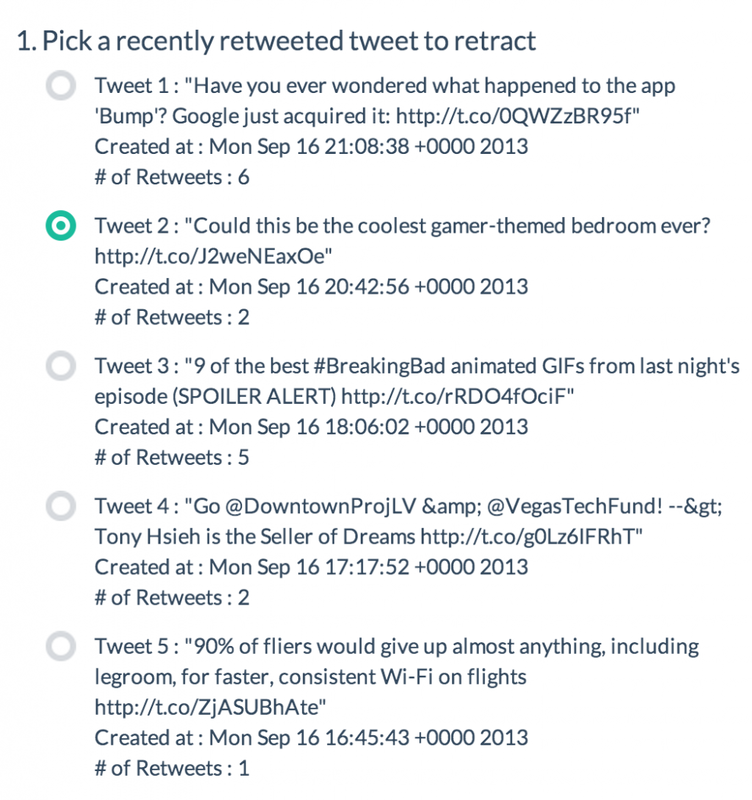 But in the wake of a social media meltdown, after misinformation regarding the shooting at Washington’s Navy Yard Monday morning went viral, journalists might find the new Twitter tool “Retwact” helpful. Here’s how it works. 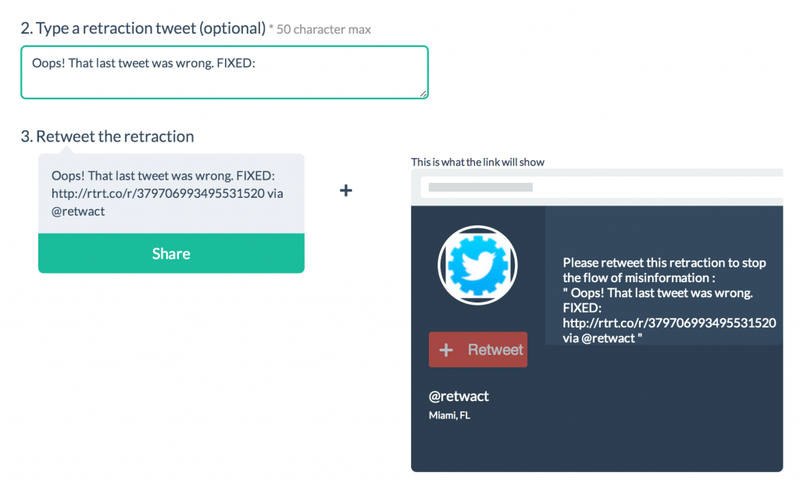 “Retwact” lets you share a corrected tweet with anyone who retweeted the initial tweet with misinformation. But to do so, you have to log into your Twitter account, select one of your five most recent retweets – which would look something like what’s below- then you would write what the tweet should have said. Sounds like a great tool, right? But you can’t search pass the five most recent tweets, and for the sake of saving characters — some may find the “via @retwact,” which can not be deleted, hard to squeeze in. Nonetheless, it is a tool worth trying during heated moments in the breaking newsroom. The rumors about layoffs at AOL-owned hyperlocal network Patch had been growing and stories started appearing on Aug. 9. But when the announcement was made on Aug. 16, Michelle Ferrier was already on the job with a Wiki and a blog post to encourage people to help document the job losses. Ferrier, a professor at Ohio University’s Scripps College of Communication has had a long-time interest in hyperlocal sites, seeing them as an antidote to media deserts and media organizations that tend to neglect the news of diverse communities. She created the wiki because, she said, it was hard to tell who was let go and what websites were being shuttered. The project started on Aug. 9, when Ferrier started using social media to find laid-off editors and the names of decommissioned or consolidated Patch websites. “The wiki itself just went up on Aug. 20. We have about 1,000 sites on the list. We created the list so that folks could add information and offer a layer of transparency,” she said. Ferrier said she hopes she can see patterns in how things functioned, how things were out of whack with what was being asked and how communities have lost a local news source. She is looking at data including what the affected communities look like, their demographics, and possible solutions.”The Patch layoffs address a critical issue to democracy,” she said. Click here for full Technology And News stories.